An Aberdeen business organisation is appealing for donations of unwanted pianos to bring a global phenomenon to the city centre. Aberdeen Inspired is looking for at least 10 unwanted, but still playable upright pianos, which will be placed at separate locations throughout the city as part of the “Play Me. I’m Yours” initiative. The scheme involves placing imaginatively decorated pianos in a various unconfirmed city centre locations to encourage people to express themselves and interact with each other. 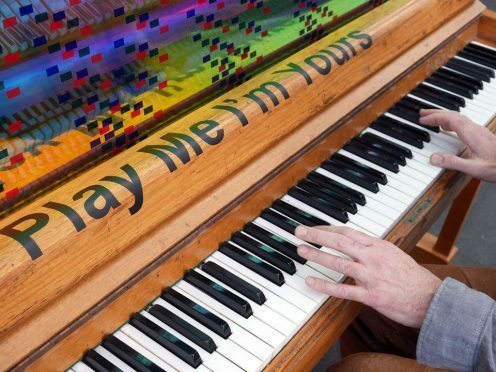 The brainchild of British artist Luke Jerram, the scheme has reached more then 10 million people worldwide – with more than 1,500 pianos installed in 50 cities across the globe, all bearing the message “Play Me, I’m Yours”. “Along with the community engagement, this is a great way to utilise and brighten up spaces in the city centre for residents and visitors. The exhibition will consist of a minimum of 10 pianos, which will be enhanced and decorated by students at the North East Scotland College. They will subsequently be placed in a range of locations around the city centre and will be available for anyone to play for two weeks during the summer. Once the event is over the pianos will be auctioned off in aid of local city centre charities. Anyone interested in donating is asked to email info@aberdeeninspired.com before the end of April.